Should I Take IELTS or Cambridge English: Advanced? This is a quick guide to the differences between IELTS and CAE. Both test your main English skills - reading, writing, listening, and speaking. CAE has a 'grammar' part. An important difference between IELTS and CAE is that IELTS is only valid for 2 years, whereas CAE doesn't have an expiration date. IELTS takes a total of 2 hours 45 minutes. CAE is about 4 hours long. In both tests the speaking section is done in front of a live teacher. You can't 'fail' IELTS - your results are given on a scale from 4.0 to 8.9. You'll only get a CAE certificate if you pass (i.e. get 60%). But both need a lot of preparation and motivation for you to succeed. A pass grade in CAE would be the equivalent of about 7.0 in IELTS. IELTS isn't easier - just different. Getting into a British university with an IELTS or CAE certificate is going to need the same high level of English. CAE is less academic than IELTS - the topics are broader, the writing tasks more varied. For that reason you might find CAE less boring. As you can see in that video, the IELTS is recorded. (CAE speaking is not.) Side note - Javi uses so many great phrases, structures his answers really well, and buys time in an intelligent way. You could learn a lot by studying his technique! In IELTS listening you only hear the recordings once. That is realistic - when you're in a business meeting or lecture hall you don't hear everything twice. But it's also crazy - what if the person next to you has a coughing fit for ten seconds and you have no chance to listen again? You have to write more in CAE but you have more time. It's one hour in IELTS and 90 minuts in CAE. CAE writing tasks are more varied - that's good and bad. More interesting, but you have to learn more ways of writing (report, proposal etc). In CAE part 2 you get a choice of what to write, too. In IELTS both writing tasks are fixed. I can't answer this for your country - in my experience recruiters in Switzerland want FCE or CAE and I've never had a student come to me here and say 'I need IELTS for my job!' But it could be totally different in your country. Almost every university in the UK will accept CAE or CPE - getting into higher education should secure you a study visa. If you're entering the UK below degree level, Cambridge themselves recommend IELTS. For other countries you'll have to Google. I think the USA mostly uses TOEFL, an exam I know almost zero about. Many universities require a certain score in IELTS to get in. That's why it's taken by 2 million people a year. CAE is accepted by 6,000 colleges and universities around the world, and seems to be growing in popularity. IELTS is more academic in tone, which is bad for my students (who are mostly business people) but is perfect for someone who is preparing for University. The writing tasks, for example, prepare you for academic work. If there's a job or university that needs a specific qualification, you should work towards getting that one. 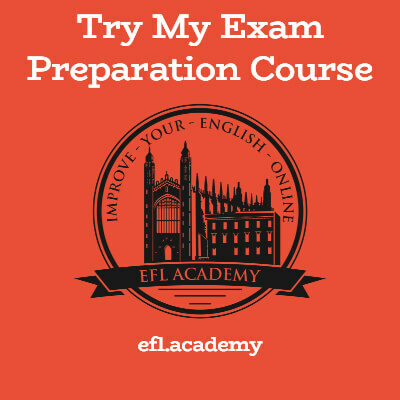 If you just want a certificate that shows your general level of English, I'd suggest doing CAE, since the course will probably be slightly more varied and interesting.